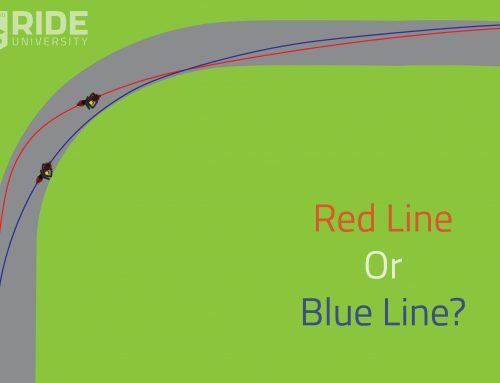 Long delay on the solution to last week’s Red Line, Blue Line challenge. 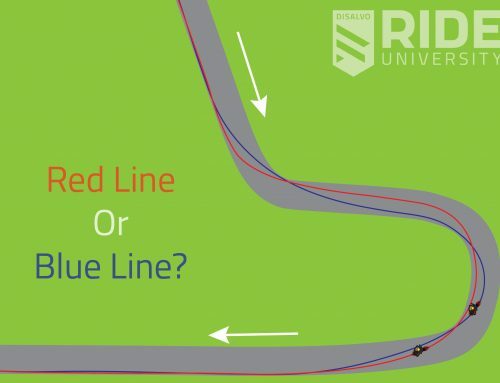 We’ve had a lot of cool stuff happening at Ride University… but more on that in the upcoming months! Also we’re now going to be releasing these solutions directly into the new Ride University Blog versus right into the forums. We still want to keep the conversations going there for the more in-depth responses though! 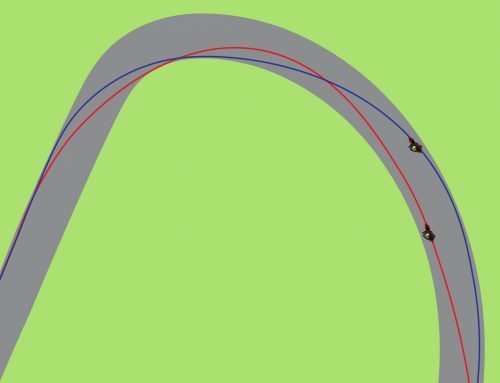 Taking a look at this image – we’re going to take a different approach to this corner than we have in the other challenges that contain long radius turns so far. As apposed to the turns where we like to get in and turn them into double apexes (see Challenge #1), in this turn we’re going to take a bigger more sweeping line on our entry, and we’re also going to tighten up the corner (or turn a bit more) through the right hander in order to set up for the left. The biggest reason we do this comes at the very end of the right hander, where we turn back to the left. 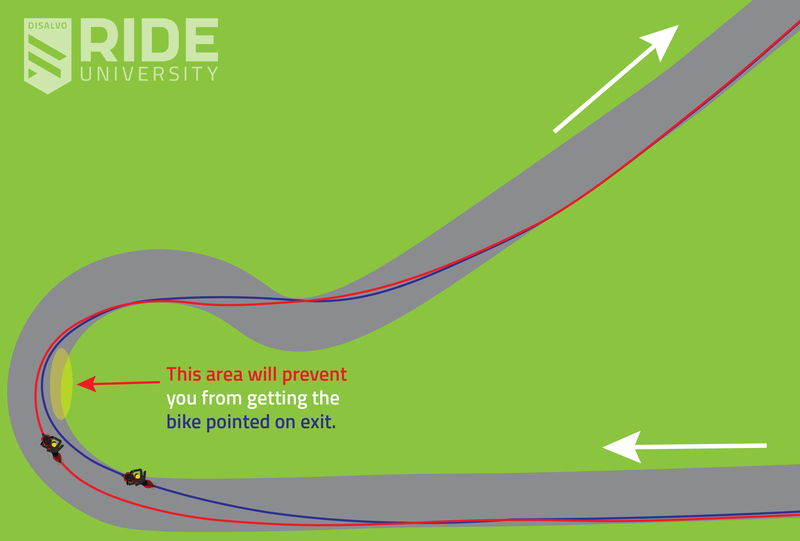 Right here, the red line actually gets the bike turned back to the left sooner and starts to drive (for the left) earlier. 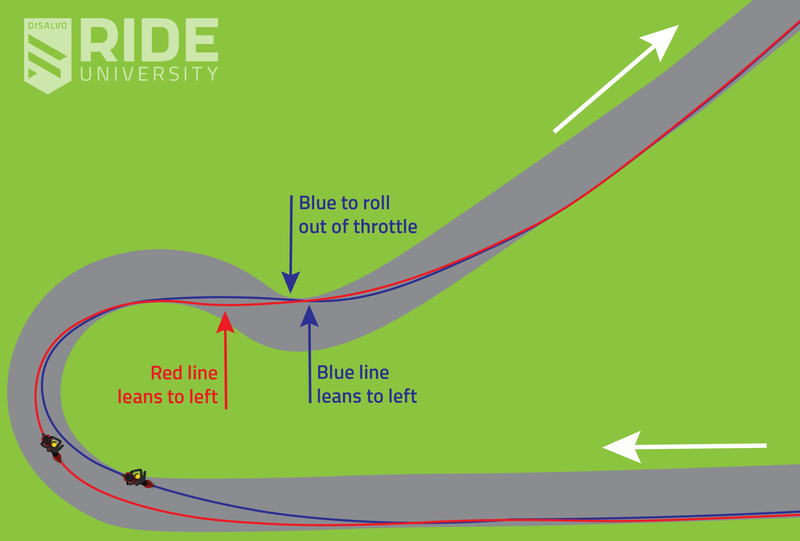 The blue line, while they’re able to open the throttle slightly sooner in the right hander, transitions a little bit later back to the left and ultimately has to turn more coming on to the straight. Much like Challenge #4, we want to nearly ALWAYS put our emphasis on the faster turns of any given section of track. They’re the ones where the stakes are highest and we can gain the most rewards from. 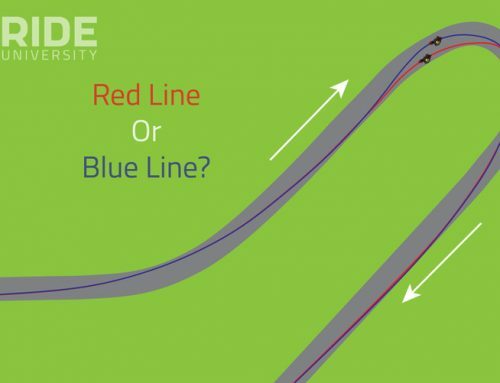 When red line rider makes this into a straighter line, they win in both speed and safety with less lean angle needed. 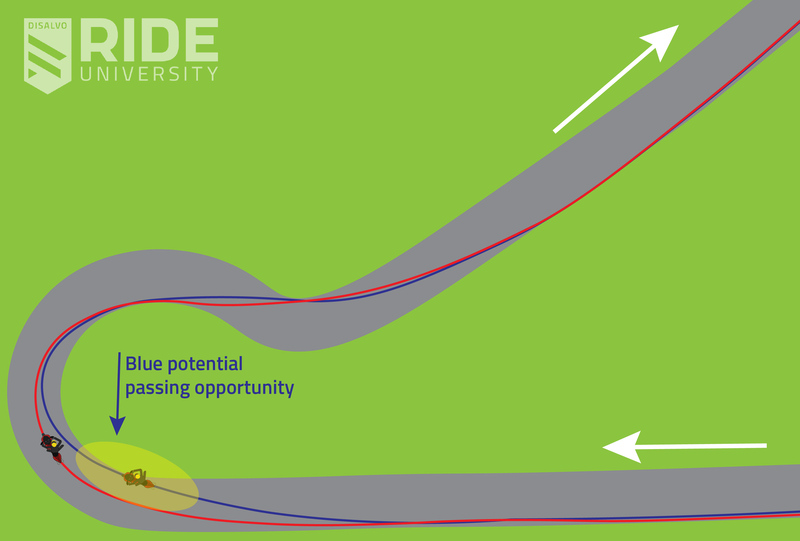 NOTE: You may be be able to get away with blue line exit choice on a 300cc sportbike, but on anything much bigger, you’re going to have trouble staying on the throttle through the transition happening at/near the apex of the left hander opening up onto the straight. Even then, making this transition on the smaller bike while trying to stay on the throttle can get a little precarious. The giveaway in this corner happens through the right hander in a couple of places. 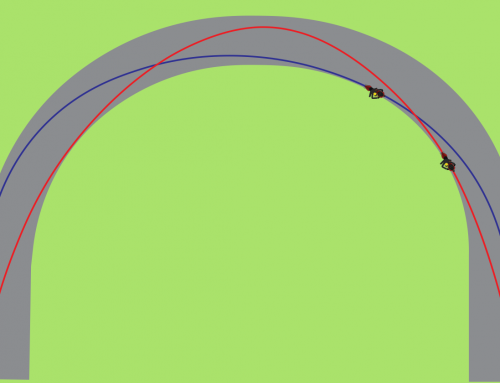 The biggest being on the setup for the left hander, blue will get a slightly better run momentarily before that left hander sneaks up on them. 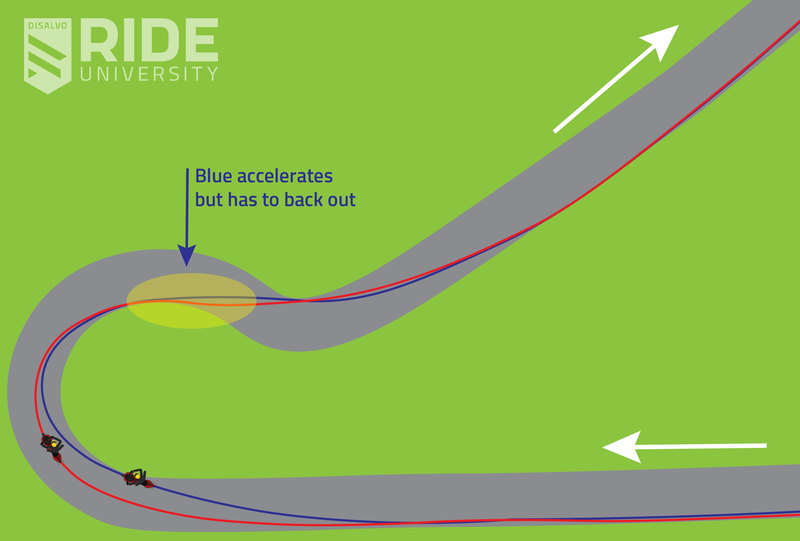 Blue’s turn in also gives them a little advantage in entry speed if the rider is very good at trail braking, before they have to slow to change direction in the middle of the turn. However, because this corner is so long before the left hander, they will struggle to be set up properly. 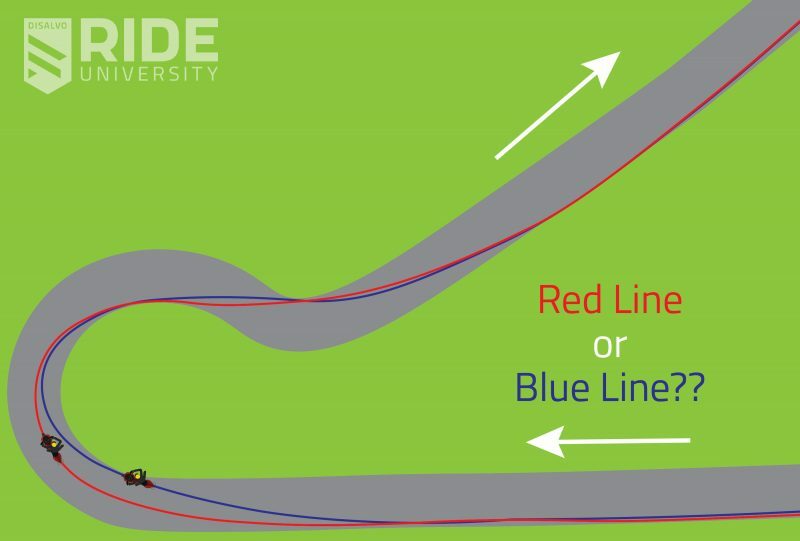 The only real advantage to the blue line WOULD however be as a potential passing opportunity on a slower rider. As it’s pretty apparent based on the corner, it’s not been part of the discussion yet, but it stands to point out the one place you’d usually NEVER want to be (unless you’re making a pretty audacious block pass) would be way down low through the middle of the turn. 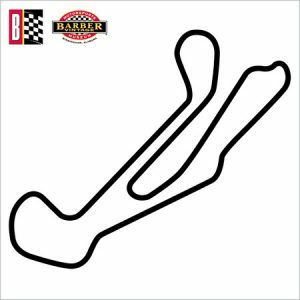 This will always have you sacrificing the left hander in this section of track which is always going to put you in the bad position of having to accelerate hard on the edge of the tire. All in all – this was another great example on setup for various sections of race track and a most importantly highlights the patience we need. It also shows the need to come up with a strategy to set up the corners that matter, and give some on those sections of track that don’t for every race track.